ORCHARD PARK, N.Y. – Game-day O-Zone. Landry Jones was cut one day after facing his former team. The timing seems a bit curious. Is it ethical to sign a guy, pump him for info, then dump him? The Jaguars signed Jones, a former backup quarterback for the Pittsburgh Steelers, two weeks before they played the Steelers last Sunday. They indeed released him a day after the game. But the Jaguars signed Jones as insurance in case starter Blake Bortles couldn’t play against the Indianapolis Colts in Week 10 because of a non-throwing-shoulder injury; they released Jones when it was clear Bortles’ injury no longer was an issue. While signing players who once played for an upcoming opponent always is a hot-button issue, it’s an overblown storyline. Teams know what other teams run; everything in on film for everyone to see. If there is any “taboo” in this area, it’s when teams sign players from an upcoming opponent’s practice squad and release him shortly thereafter. In the case of Jones, he was a free agent when the Jaguars signed him. Pretty much anything goes in that situation. If the Jags win a defensive battle against the Bills to the tune of something like 16-13 with Bortles scrambling for 50 plus yards, I'm not sure I'll know what to make of it. The results of such a game won't tell me anything I don't already know (especially about the quarterback position). What's better for the team long-term, Blake going all Patrick Mahomes in a 35-30 loss or Blake throwing for 120 yards with some solid scrambles bolstered by a strong running game? The Jaguars have lost six consecutive games, and injuries have made the offense a shamble compared to what was planned entering the season. You may not “learn” all that much the rest of the season. At this point, it’s about the Jaguars trying to win any way they can. Hi, John. I don’t want to talk about BB5. You said all about this topic. My question is why the Jaguars not only other teams that are on top for years or decades like the Pats. Is this a management problem? Looking forward to the next win. Go Jags. Teams on top for a decade or more typically have a rare combination of franchise quarterback, head coach and management – and it usually starts with the quarterback. Focus on the “rare” part. It doesn’t happen often. Zone. In some of the Jaguars Drive Time shows, it has been said a few times it's still early to be talking about the draft. But it seems to be all you're posting the last couple of days. I am just as disappointed in how this season has turned out as everyone else, but Bortles is still our quarterback until he’s not. I believe the Jaguars will put their best effort on the field of all the remaining games. I would be more disappointed if they "gave" games away just to get a better draft pick! Can't we wait just a few more weeks before everything I read and watch will be focused on the draft! Please! Go Jags! I answered one question Saturday listing quarterbacks who might be selected in the first round of the 2019 NFL Draft. Aside from that, I did not mention a draft-eligible college football player in this week’s O-Zone. People ask questions. I answer. 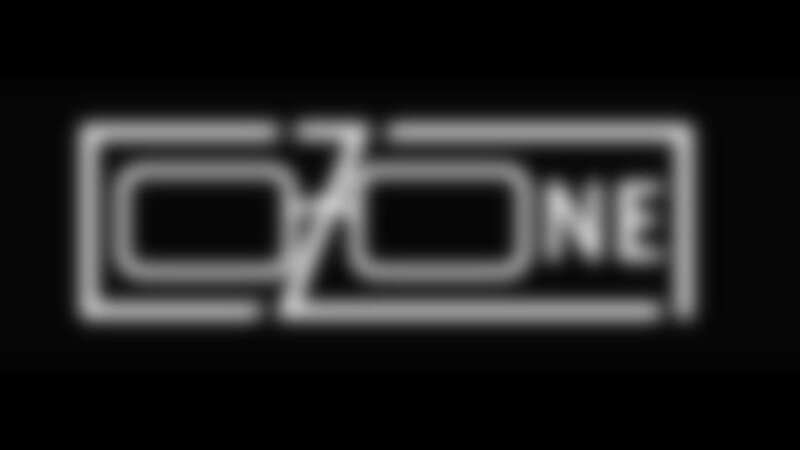 But at no time in this past week’s O-Zone was the draft in anyway all I was posting in the last couple of days. It won’t happen anytime soon, either. Fear not. Chase Daniel ... 2019 … QB1 … Jacksonville Jaguars. I have nothing against Daniel, who is a capable backup quarterback in the NFL. I understand the desire to upgrade the position, but I can't quite get my head around those saying Bortles isn't an NFL quarterback. I also don't understand those that say the Jaguars made a mistake by extending him. At the time he signed the contract he was the 17th-highest paid quarterback. He was essentially signed at or near the lowest amount you could expect for a starting quarterback not on a rookie deal. This also seemed to line up very well with where he was ranked by different websites. Football Outsiders had him ranked at 15 and Pro Football Focus at 17. He has fallen off a bit so far this year, but that would be expected given what has been going on around him. He doesn’t have the ability to compensate for anything more than minor-to-medium struggles around him, and that may warrant looking for a quarterback that can. That doesn’t make his salary a waste for next season and doesn’t mean he wasn’t the best chance at winning this season. These are good points. The Jaguars last offseason brought Bortles and a lot of pieces back to make another run at the Super Bowl. The way things were structured a lot of the moves made sense at the time, and the idea at the time was that the Jaguars would change things based on the results of the 2018 season. That likely will happen, but that doesn’t mean people can’t be upset when things don’t work out. A sure way to dramatically decrease chances for getting a question answered in this forum is to lead with, “I know this will not make the O-Zone.” It’s a boring way of saying, “You don’t have the courage to answer this question because it’s too tough, or because you work for the team, or because you’re scared of the answer.” While I indeed lack courage, readers of this forum who are honest with themselves know that pretty much any topic gets addressed at some point. If an answer isn’t to a reader’s liking, it’s sometimes a reflection of a reader’s unwillingness – or inability to – understand. It’s also sometimes a reflection of the senior writer’s incompetence. Potential ramifications of management is not an issue. While not everyone in the organization likes what I write – or me personally, for that matter – the reason this is one of the best team websites in professional sports is that the team allows the jaguars.com staff a wide swath to be uncommonly transparent. As for next year’s ticket prices, I have no idea where they will fall. I do know that the Jaguars’ season-ticket prices remain among the lowest in the NFL – and I know that over time that must continue to change. It’s professional sports. There’s a reality involved. I've complained about the never-ending rule changes by the league for years now, but last week was the first time I could clearly envision my time as a fan coming to an end. When defensive end Calais Campbell was flagged for his hit on Big Ben, I could see it for the first time. When I can't watch my team without them being flagged for simply playing defense, I'm out. I don't think it's going to be that far into the future. I understand your feeling, but I wouldn’t give up on the NFL for that call. That was the so-called “weight-on-the-quarterback” rule, which was controversial at the beginning of the season and hasn’t been as big of an issue as many feared. Officials ruled that Campbell landed with too much weight on Steelers quarterback Ben Roethlisberger and that he could have avoided landing on him as heavily as he did. I thought it was the wrong call, but my sense is officials have improved for the most part calling this rule this season – and that it won’t be a major negative on the league moving forward. As far as the rules being entirely geared toward offense … on that front I’m not so sure. What I’ve seen in games involving the New Orleans Saints, Los Angeles Rams, Kansas City Chiefs and New England Patriots this season worries me a bit. It’s not that offense is too easy for every team; the Jaguars’ struggles offensively certainly make that not the case. But the league is clearly enamored with the offensive style being played by those teams, and it’s quite likely the league will continue to tweak rules to encourage it. It feels like a danger of being too much. And by the way, I worked to get this grass this green. Get off my lawn.